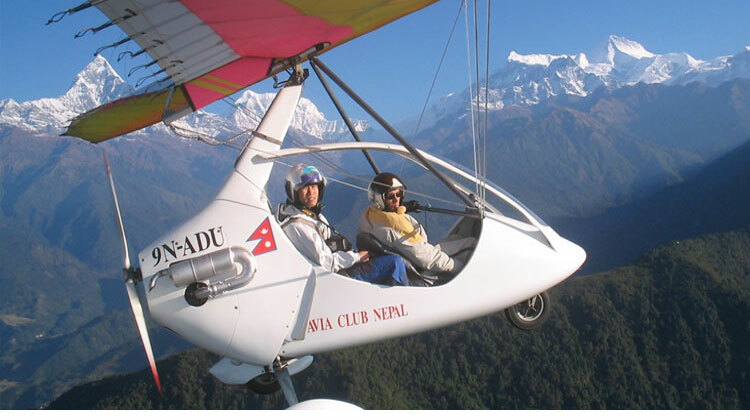 Ultra-light flight in Pokhara is new tourist attraction of Nepal; Ultra-light flight provides golden opportunity of having a heavenly taste of verging beauty of Nature within an exceptionally short span of time with its micro plane services. 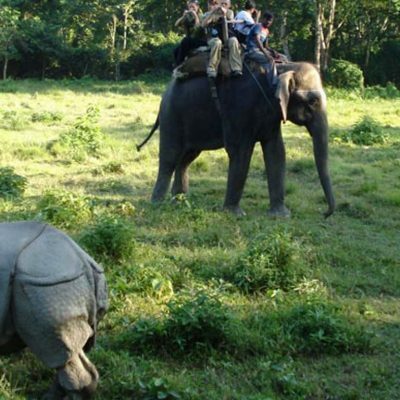 It is an stimulating ride to a maximum height of 5000 meters around the sky that allows unhindered bird eye views of the magnificent Pokhara valley along with mountain peaks and scenic lakes at the same time. For those who have always dreamed of flying like a bird, here’s your chance. Make your dream come true. Soar into the blue skies, touch the clouds and get the feeling you can touch the sparkling mountains. While flying over the Pokhara valley, you will not miss the scenic beauty of both the Himalayas and the most famous lake of Nepal, the Phewa Lake. The flight will be a journey through nature. This is truly a unique experience. Flight Cost: USD 113.00 Airport Tax: NPR 200.00 will be charged at the airport. Short flight over the Pokhara city, Phewa Lake, near Sarangkot hill, over the Buddha monastery and the south side of the city. 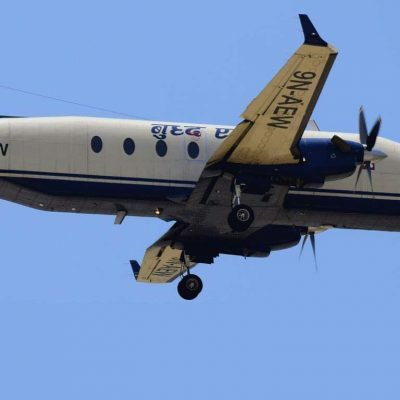 This short flight at the speed of 50 km/hr to 90 km/hr will give you a panoramic view of the whole Annapurna Range with a view of another 8,000 miter peak – Dhaulagiri, in the distance. The maximum altitude attained is 5,000 feet. he 1 hour flight. Capture all of your flight memories with your camera and without a window impairing your view or your camera’s view. The views are simply superb and the flight leaves you feeling exhilarated. This flight appeals to the traveler who wants the best of both worlds; balancing cost with duration. Flight Cost: USD 310.00 Airport Tax: NPR 200.00 will be charged at the airport. Pokhara is the wonderful place to take this hour long flight. You can fly around the city and through the valley and eventually make your way to the edges of Mt. Fishtail (or Mt. Machhapuchhre). On this flight you are so close to the mountain it feels like you could practically wipe the snow off the peak with your hand. While flying through the air you can see 4 of Nepal’s 9 highest peaks including Annapurna 1, Annapurna 2, Dhaulagiri, and Manasalu. These are all over the 8000 meter mark. 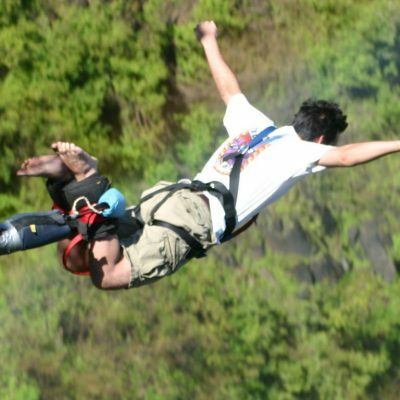 The Mountain Range Sky Trek is a exceptional and unforgettable experience and adds that extra special touch to your travel memories in Nepal. This flight provides a great overview of the Annapurna Range with speeds ranging from 90 km/hr to 130 km/hr and the highest altitude of 12,000 ft. This relaxing and invigorating flight is a must. Though our A-22 is available for our popular 30min and 60min flights, it’s best attraction is the 90min “Into the heart of the mountain” flight which takes you deeper and closer to the Himalayan giants than anything else while allowing ample time to enjoy the sights. You’ll fly past remote mountain villages that even trekking will miss. The experience of being surrounded by the Himalayas is a once in a lifetime experience. Don’t mistake this for just a mountain flight. This is you, the pilot and the mountains. There are no tiny portals to impair your view, no other passengers to distract you from what you see. Passengers who’ve flown on this flight described it simply as “Bliss”!